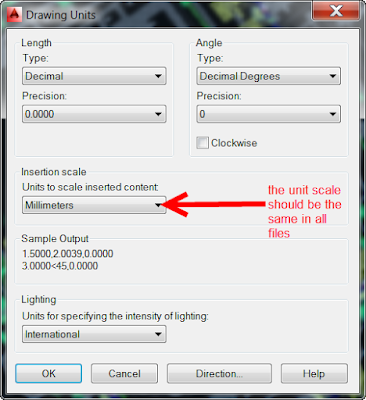 Xref (external references) user can view another drawing within current drawing which user work in it without actually inserting that other drawing. How to make external reference file (xref) in the example we main file and other 4 file to be attached as xref do the followings. 1. Open main file and type in command line ucs and press enter than type w and press enter . 2. 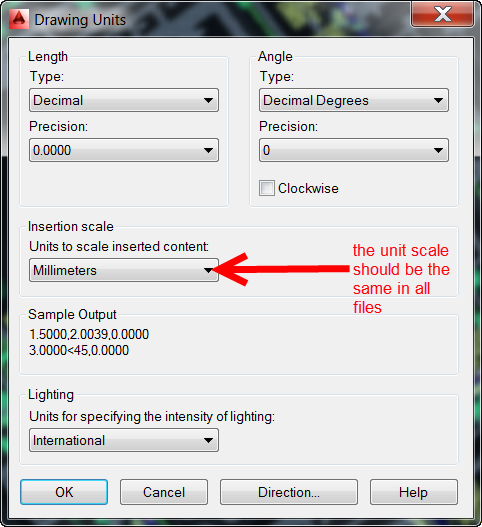 Go to format and click units select your scale and press ok.